The Transformation of Systems Engineering! Back again, the only systems engineering conference held in San Diego! Our annual full-day of presentations of systems engineering topics, to include MBSE, Agile SE, Engineering of Laws, and more. This year’s conference will center on the transformation of systems engineering in addressing new Systems Engineering tools and techniques, increasing complexity, and the shorter time to market of today’s systems. Cost: INCOSE Members $50, Non-Members $60, Students $25 (registrants will also received a $20 discount from the cost of the Agile Systems Engineering tutorial, to be held on Nov 29-30th. Please click HERE for details). Refreshments: A continental breakfast as well as a lunch of sandwiches and drinks will be provided, and are included in the registration fee. Please state vegetarian preferences with your registration. Sponsors: This year’s Mini-Conference is sponsored by the Science of Laws Institute and by Northrop-Grumman. Please visit their stations at the conference! This year’s conference is shaping up! It will now include 20 presentations and will include a keynote by the Chair of the INCOSE Agile Working Group, several specialized tracks in addition to a wide variety of individual presentations, vendor demonstrations, and a presentation on the merits of INCOSE CSEP or ASEP certification. 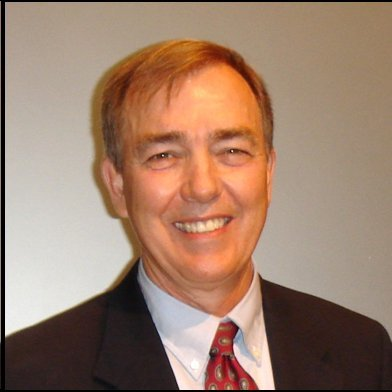 Keynote: We are happy to introduce Mr. Rick Dove, Chair of the INCOSE Agile Systems and Systems Engineering working group. Rick will discuss the Agile software (and hardware) development process and its transformational effect on systems engineering, and why every systems engineer needs to know about it. Over time, many organizations have implemented systems with different architectures and operating environment. They have used a variety of technologies spanning several physical environments leading to data and workload redundancies, higher maintenance costs and lack of efficiency in the use of organizational data and processes. System of System (SoS) engineering provides solutions to bring together different computing systems and software applications, physically or functionally, to perform a task/mission. SoS provides processes, methodologies, and tools that enable customers to fully integrate systems vertically and horizontally, resulting in the ability to more rapidly and efficiently support both business and mission system requirements. Cyber Security approaches systems security engineering and integration in a phased methodology that can be executed in a serial or parallel manner with System Engineering, however the art of Cyber Security is not actively monitored during all phases of the project. 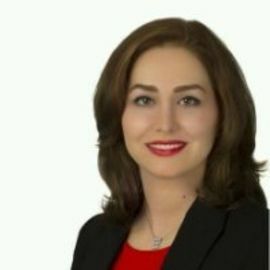 Mahasa Zahirnia is a Chairwoman of the STEM program at Northrop Grumman Corporation. She has her Masters in Management from University of San Diego and Electrical Engineering Degree from San Diego State University. Mrs. Zahirnia has over 28 years of experience in the areas of Program Management, Electrical Engineering, Control Systems, Cyber Security, System Engineering and Architecture. She was a Chairwoman of the Society of Women Engineering, a member of the Institute of Electrical and Electronics Engineers, and has coached several Robotics Programs for local middle schools. Mrs. Zahirnia has received several awards from the Department of Defense for her outstanding performance in the area of engineering and has mentored several at risk young students. Mrs. Zahirnia has held positions at Northrop Grumman, Booz Allen Hamilton, Cubic Cooperation, Captiva Software, Sony Corp and Solar Turbines. Elegant Engineering (EE) inherently includes the concepts of Agile SE, MBSE, and Digital Engineering. EE will be used as the encompassing term to describe the solutions enable by Transformational SE concepts like Agile SE, MBSE; thereby touching, defining, and promulgating these concepts. Elegant engineering is a series of best practices that deliver a solution that is highly effective, holistic, and intuitive. Highly Effective – Meets all agreed to functional requirements. Meets the needs of the user. Enables mission success. Exceeds customer expectations on cost, schedule, and performance. Is resilient. Holistic – See the forest and not the just the trees. Satisfies derived requirements. Addresses the “ilities”: maintainability, reliability, interoperability, modularity, sustainability, scalability, extensibility, adaptability, and supportability. Howen Fernando is a senior systems engineer at the U.S. Navy Space and Naval Warfare (SPAWAR) Systems Center (SSC) – Pacific. Howen has recently served as deputy director, DoD Waveform Standards, Joint Tactical Networking Center (JTNC), where he was part of a team responsible for the creation and promulgation of Open Systems Architecture Standards in Wireless Communications Software for the DoD to enable/improve interoperability, affordability, and security of communications systems. Howen has also served as Branch Head of the Advanced Intelligence Concepts Branch at SSC Pacific, and as Lead Systems Architect for the Generation-4 Advanced Modular Electronics (AME) Receiver System (G-4 AMERS) project. He successfully led the project through Feasibility/Systems Engineering Study, Development, and Test and Evaluation Phases. He received a B.S. degree in Electrical and Computer Engineering from the California State Polytechnic University, and received his M.S. degree in 2017 in Systems Engineering Management and Product Development from the Naval Postgraduate School. An MBSE approach has been developed that integrates parametric cost modeling with product modeling methods for economic tradeoff analysis of system product lines. The modeling framework includes a reference architecture and cost model for a general combat system product line that is extensible to other DoD and government domains. It is first applied to assess the economics of Navy combat system product line architecture approaches. Navy combat systems are currently ship class dependent and acquired as stovepipes, yet there is much commonality among them. Product line approaches may reduce acquisition costs, increase mission effectiveness, enable more rapid deployment and other benefits across the DoD. Combat systems architectures including sensors, weapons, and hardware/software are formally modeled to identify common functions and variations for different case studies. The architecture modeling uses the Hatley-Pirbhai methodology and an associated architecture template. An enhanced data flow diagram and related architectural flow diagram (AFD) describe the functional and physical behavior of the combat system. The AFD provides a structure for variation point identification necessary for orthogonal variability modeling (OVM) in a product line construct. Variation points are identified for sensors, HSI / consoles, weapons, and data links with alternative choices for a combat system product line which also serve as cost model inputs. The value of investing in product-line flexibility using Return-On-Investment (ROI) and Total Ownership Cost (TOC) is assessed with the System Constructive Product Line Investment Model (COPLIMO). Empirical cost data from Naval weapons systems programs is allocated to the system functions in the architecture models to calibrate the COPLIMO and populate it for specific system configurations. It is then used to assess costs and benefits of product line architecting approaches vs. traditional one-off designs for specific systems and their constituent elements. An overall business case analysis as a synthesis of the case studies for product line practices will be performed with recommendations. 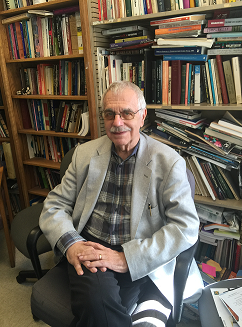 Ray Madachy has been a Professor since 2008 at the Naval Postgraduate School. 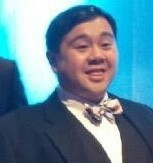 Ray received his Ph.D. from the University of Southern California in 1994. His background is in modeling and simulation of processes for architecting and engineering of complex systems; cost analysis and value-base engineering of software intensive systems; quantitative methods for systems risk management; systems and software measurement; process improvement; and quality; integrating systems engineering and software engineering disciplines and empirical-based research with process simulation. Mike Green is a senior lecturer at the Naval Postgraduate School (NPS), Department of Systems Engineering. Mr. Green holds multiple degrees in physics, computer science, international relations, and business. 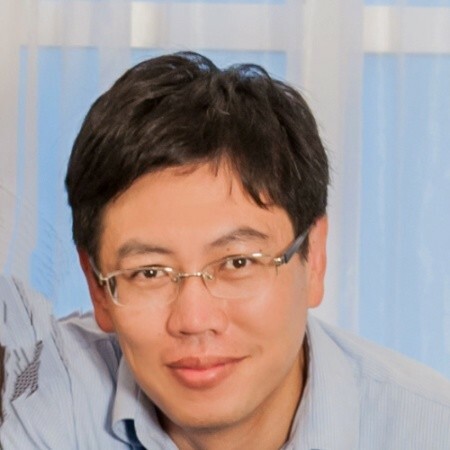 His research interests include sensor fusion, Open Architecture, Human Systems Integration (HSI), the application of fuzzy logic to combat systems, and layered weapons systems concepts. Mr. Lacson is a Systems Analyst at AUSGAR Technologies, specializing in operational experimentation and Human Systems Integration (HSI) process and tool development for Navy Command and Control and Enterprise Information Systems. He enjoys the challenge of combining systems engineering and HSI to improve the user experience for the users of DoD systems. Specifically, he is proficient at conducting system assessments, requirements working groups, and design feedback sessions with users across various ranks and rates, as well as system stakeholders. Frank is an experienced and proficient technical writer, having published over 30 journal articles, invited talks, and panel discussions. He is also active in DoD HSI Standardization efforts such as MIL-STD-1472 (Human Engineering), the SAE HSI Standard, and the DoD HSI Military Handbook. In addition to being involved with INCOSE, he serves as the User Experience Professionals Association (UXPA) representative to the DoD Human Factors Engineering Technical Advisory Group (HFE TAG) and is active in the Human Factors & Ergonomics Society (HFES). Dr. Kevin Aeling is an organizational development and Human Systems Integration (HSI) professional, with over 16 years of experience, that uses science-based and user-centered approaches to identify Information Technology (IT) needs that will exceed user requirements, be easy to use, and improve organizational performance. 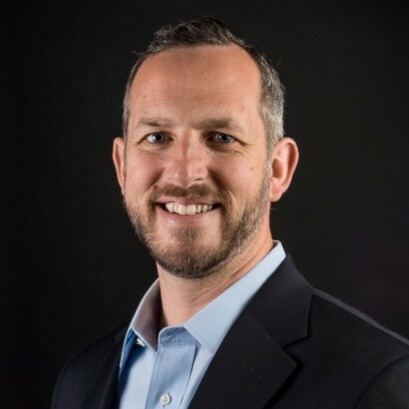 He has broad experience at leading teams to develop, implement, and monitor process improvement solutions., facilitating assessments to support IT selection and organizational change initiatives. Kevin is known for being eager to learn new technology and working well with senior leadership and other stakeholders to design, implement, and monitor solutions. Strengths include conducting user experience research and the design, development, execution, analysis, and reporting of operational experiments to support decision-making and planning for science and technology initiatives. The military uses capability-based analysis (CBA) as the general process when considering a new approach or a transformational capability. CBA also has a role in supporting an analysis of alternatives. The approaches to this process are varied and the starting point determines the outcome. This paper presents a concept for an effectiveness-based capability modeling method (EBCM) that starts with the stakeholder’s capability need and associated performance requirement as an approach to translating mission capability objectives into a mission architecture. The approach is rigorous and uses box-structured methods for translating the stakeholder’s capability need into capability requirements. Using recursive top-down mission analysis, a notional mission architecture can be described using black boxes and probability theory. This is accomplished by using black boxe transactions to capture the initial functional requirements. The functional architecture is developed using a transaction hierarchy that uses success trees to control the expansion from one layer to the next while allocating the performance requirement to the elements of the functional architecture. 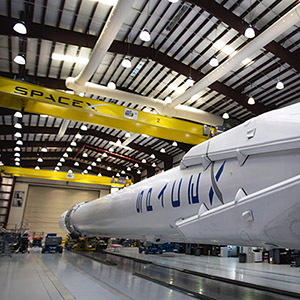 The functional elements are the design element for the mission architecture and control the allocation of function and performance to potential physical systems. The result is an effectiveness-based capability model suitable for use in analysis of alternative studies. Like many other systems of systems, the electric grid is facing challenges as devices originally intended to be either standalone or locally networked are now being connected to the Internet. 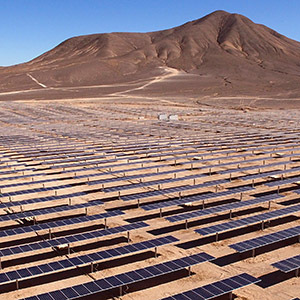 In addition, the electric grid is facing unique challenges as the need to reduce carbon output is resulting in rapidly increasing numbers of non-centralized distributed energy. Many renewable systems such as solar Photovoltaic (solar PV) are owned not by electric utilities, but by customers thus requiring new cyber controls to protect information flowing to and from the electric utility. Other unique electric grid cyber challenges include the need to meet the North American Electric Reliability Corporation (NERC) Critical Infrastructure Protection (CIP) requirements and a business model being contested by non-profits such as the San Diego Community Choice Energy and the state of Illinois where over 2/3 of residents’ energy is supplied by community choice aggregators (CCAs). Kay Stefferud is Director of Implementation Services for EnerNex. She is a collaborative, versatile and results-oriented system engineer and enterprise architect who has 30 years of technical, program and team leadership experience in dynamic, rapidly-evolving environments. She uses her analytical problem solving skills in architecture development, requirements specification, procurement, design, test and system deployment. Kay has full project experience from concept development to system installation and training. Kay’s projects include specifying, designing, and testing advanced grid applications including microgrids, assessing the impacts of distributed energy resources such as solar PV systems on the distribution grid, and developing enterprise architectures and innovative grid modernization solutions. The successful creation of complicated and complex systems typically requires both Systems Engineering (SE) and Project Management (PM). Various works have been done showing the benefits of both methodologies. Further, in 2011, the International Council on Systems Engineering (INCOSE) and the Project Management Institute (PMI) formed a strategic alliance to advance the integration of the two disciplines. Yet, as of 2018, a baseline framework has yet to emerge which identifies the shared responsibilities, unique responsibilities, and handoffs between the SE and PM performers. Based upon their respective experiences in performing and teaching SE and PM, the authors sought to fill this gap via their SE PM Integration Framework (SPIF) and its extension (SPIF-E). The SPIF is rooted in both the INCOSE Systems Engineering Handbook and the PMI Guide to the Project Management Book of Knowledge. The authors created the SPIF by integrating the standard product life cycle from the Systems Engineering Handbook and the project life cycle from the Guide to the Project Management Book of Knowledge. Then, for each life cycle phase, the authors identified within the SPIF which SE technical processes and PM knowledge areas typically apply. Next, the authors extended the SPIF to encompass the standard processes and products encompassed by the SE and PM methodologies. The authors organized the SPIF-Extended (SPIF-E) in the form a of a RACI chart which identifies the Responsible discipline, the Accountable discipline, the Consulted discipline, and/or the Informed discipline for each process and product. While the authors originally created the SPIF and SPIF-E as teaching tools for students of each discipline, they believe it will also serve well as a template from which practicing SEs and PMs can define their respective roles and responsibilities as they bring complicated and complex systems to fruition. John Wood, PhD has spent his career pursuing perfection in areas where less-than-perfect performance can be deadly. For more than two decades he has applied his systems engineering and project management expertise to improve performance, reduce costs, and save lives in healthcare, aviation, and defense. Now, as Chief Executive Officer of Cardinal Point Healthcare Solutions, he has institutionalized these experiences in a systematic approach that helps clients define and implement data-driven healthcare strategies. Mr. Yves Theriault, PhD, is President , CEO and Founder of Performance Project Management LLC which was formed in 2004 to capitalize on the use of Project Management Methodologies to achieve Organizational Performance. He has an extensive background in both business and technology and holds 18 years of experience in project management and performed in all types and sizes of industries. Mr. Theriault holds a PhD in Chemistry from University of Montreal and a Certificate in Project Management from University of California at San Diego. He is an active member of the Project Management Institute (PMI) and serve as Reviewer and Liaison for the Institute’s mega project: LEXICON. Deep learning have recently reported as a high efficient, cost-effective, and project deliverable solution on several applications (i.e., autonomous driving, aerospace drones, smart-cities, health-care, and financial engines). Researchers are applying Deep Learning (DL) techniques to the automation of software system engineering (SE) tasks, such as project management, modeling and development. In this case study, we will use deep learning as part of System integration and testing for Robot Operating System (ROS) package for the perception of autonomous machines (Sensor Processing, Detection, Tracking, and Evaluation). The dataset in the case study is taken from KITTI Vision Benchmark Suite. We build performance models of standard process in training KITTI Google DeepLab, and then we benchmark the running performance of the framework with popular convolutional neural networks (i.e., AlexNet, GoogleNet). We analyze what factors that result in the system performance gap among the frameworks. We will present the analytical and experimental analysis and demo the visualization on GPU. The main focus is the propose performance tuning, system model and the analysis for the deeper optimization directions both algorithmic and system level design. 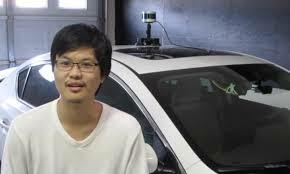 Mr. Andrew Raharjo Tsai is a Co-Founder and CEO of Vector.ai, with a focus on product strategy, future transportation, self-driving vehicle and user experience. His is passionate by user needs, vehicle engineering, product management, user research, product vision and algorithm development. A discussion on MBSE in the contexts of the current state, common challenges encountered, capabilities, data analytics and some future developments from the perspective of different program offices at the US Navy Space and Naval Warfare Systems Command (SPAWAR). 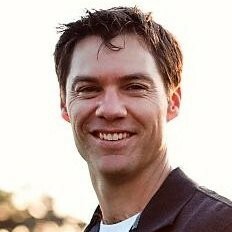 Chris leads design, development, integration and deployment of large scale mission critical network and system, with experiences in different System Engineering Methodologies (MBSE, Agile, DevOps), Networks (wired, wireless, protocols) and Security (identity and access, ,software development). His tasks vary from customer interviews, solution creation and analysis, use cases and requirements development, SysML modeling, scrum participation, integration support and process improvement. The concept and execution of product line architectures extends across all system application domains where related systems share features. Similarly, many DoD domains and industries can benefit with the capability to analyze the economic consequences of their product line architecture options. The innovative method for coupling cost modeling and architectural modeling has wide application. The research would be valid for all the services, the intelligence community, virtually all other government operations, and commercial industry across numerous domains (though some already leverage product line architectures). The systems engineering modeling methods are transferable in several ways. The modeled generic system architecture containing the detect, control, engage paradigm as a central premise of combat systems is the same across many DoD application domains beyond the Navy. The architecture model can thus be used as a template for many DoD system product lines. The entire general method can also be used for different non-combat system types with relevant architecture models. Laws and their associated regulations are usually put in place to curb corporate excesses, ensure safety and privacy, and achieve other governmental goals. However, how much regulation is too much? How can an enterprise assess the impacts of new regulations on top of existing regulations and other problems currently being faced by the enterprise? How can an enterprise quickly analyze the scope of the incoming challenge, assess its impact, and logically organize either an enterprise wide acceptance of the new challenge or a considered response as to why these regulations unnecessarily hamper the enterprise’s core businesses? We propose a method of using a standardized set of “scaffoldings” or templates that can be “stacked” to address strategic, operational, and infrastructure concerns in separate layers. We employ techniques that we have successfully used in enterprise architecture to “normalize” the elements of each layer so that like objects are stacked on like objects. This approach allows the enterprise to see where the impacts of the new regulations fall, decide what new enterprise approaches are necessary for compliance, and assess costs and consequences. If the enterprise finds that the new regulations are excessively burdensome, the enterprise can provide reasoned, logical arguments against these regulations instead of just railing against regulation in general. 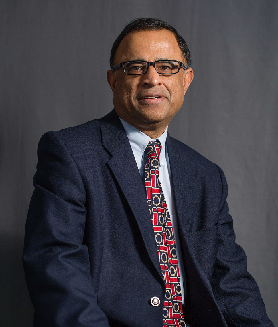 Mr. Prakash Rao is a Certified Enterprise Architect with a graduate degree in Computer Science from the University of Minnesota and an undergraduate in Electronics and Telecommunications Engineering. 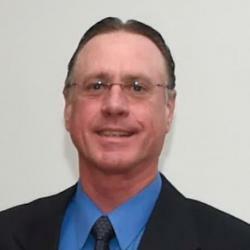 Starting as a Research Scientist in the Corporate Computer Science Center at Honeywell Inc in the early 1980s, he has been active as a researcher, Program Manager and line manager and also in systems business development at Honeywell. He was the co-founder of InfoSpan Corporation – one of the industry’s first open standard CASE and Information Resource repository development companies. 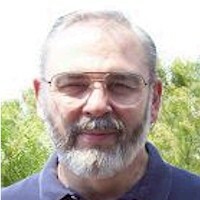 He taught Enterprise Architecture at the FEAC Institute in the capacity of a Faculty Member for many years and has also co-trained over a thousand staff from the United States Air Force at various USAF locations worldwide. 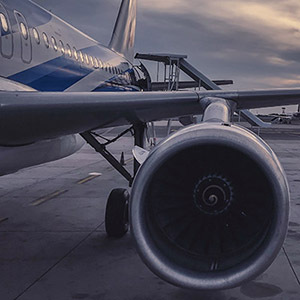 Prakash is also a practicing enterprise architect with over 20 years of experience in EA including participating in one of the earliest EA implementations at USAF Air Mobility Command with EA Pioneers John Zachman and Dr. Steven Spewak in the mid 1990s. He has been active as an invited speaker, facilitator, trainer, consultant and architecture subject matter expert in several engagements over the last 20 years. He is currently the Chief Executive Officer of Enterprise Sherpas LLC in Fairfax and is also the President of a HOA enterprise comprised of 557 single family homes. As a co-founder of a venture funded start-up Prakash realizes at first hand, the applicability and usefulness of enterprise architecture techniques to the organizing, management, evolution and governance of startup as well as ongoing enterprises. As a practitioner for more than 15 years, he brings a real world experience to his teaching and training methods. He also the co-author of the Official Client-Server Guide to Data Warehousing 1995 (QUE Imprint of Macmillan) with Harjinder S. Gill, FEAC Guide to Enterprise Architecture Certification (McGraw Hill) with Ann Reedy and Beryl Bellman in 2011 and the All-In-One Certified Enterprise Architect Exam Guide (McGraw Hill) also with Ann Reedy and Beryl Bellman in 2018. 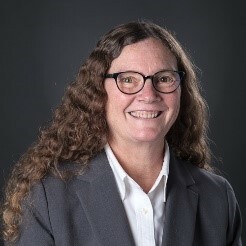 Dr. Ann Reedy has a PhD in Computer Science with more than 40 years of experience in academia, Federal research and contracting communities. She taught computer science at both the University of Iowa and the University of Nebraska, Lincoln. After working with analyst support systems and software development environments in the Federal contracting community, she focused on Enterprise Architecture. While working for the MITRE Corporation, a Federally Funded Research and Development Center, she was one of the principal developers and editors of the C4ISR Architecture Framework and worked on its evolution into the DoD Architecture Framework (DoDAF). She has adapted the DoDAF for various federal organizations and agencies and supported a wide variety of DoDAF based enterprise architecture startups as well as helping agencies develop enterprise architecture governance processes. These agencies included Treasury, Customs, IRS, and FAA, as well as DoD projects. While at MITRE, her research topics include the integration of security concerns and the use of pattern based approaches in enterprise architecture. She taught enterprise architecture to groups supporting the U.S. Federal government through the MITRE Institute and through the Federated Enterprise Architecture Certification (FEAC) Institute for over 10 years, as well as co-authoring a textbook for the FEAC. 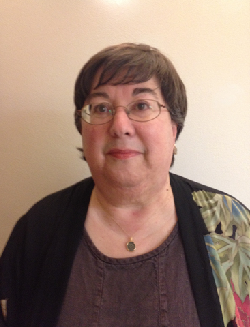 Now retired from MITRE, she continues to pursue research into new enterprise architecture concepts and approaches. She also the co-author of the FEAC Guide to Enterprise Architecture Certification (McGraw Hill) with Prakash Rao and Beryl Bellman in 2011 and the All-In-One Certified Enterprise Architect Exam Guide (McGraw Hill) in 2018. 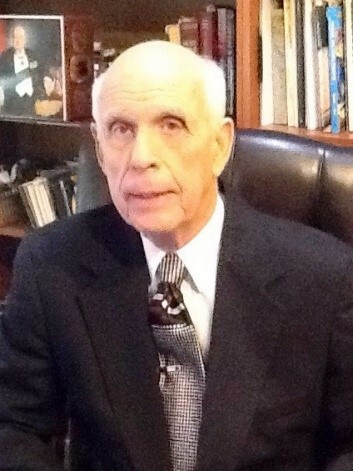 Dr. Bellman is Professor Emeritus at California State University at Los Angeles and was co-founder and Academic Director of the FEAC™ Institute and is also a frequent TOGAF trainer. 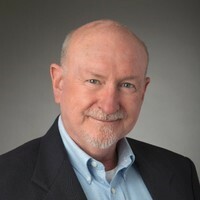 He has been involved in teaching, research; publishing, consulting and project management in the fields of Enterprise Architecture, Knowledge Management, and Organizational Communications/Behavior for over forty five years, and has an excellent reputation in both academe and professional consulting. He held faculty and research positions at the University of California at San Diego, SUNY Stonybrook, CUNY Graduate Center and California Institute of the Arts, and was Research Director of the Western Behavioral Sciences Institute prior to his current university position. He holds enterprise architecture certifications in FEAF, DoDAF, Zachman, TOGAF 8 and TOGAF 9. In addition to academic positions he has over thirty years concurrent consulting experience in both government and the private sectors, and has been a Principal Consultant and Project Manager with three major Enterprise Architecture consulting and tool vendor companies. 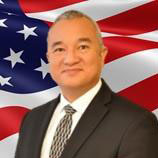 He has consulted in Enterprise Architecture related programs in the public sector for the DoD, Departments of Agriculture, Forest Service, Energy, Justice/INS and the Whitehouse for the Executive Office of the President as well as was a contract consultant for NCR, AT&T, ASK, RAND and Digital Equipment Corporation – working for their internal and external customers. This included doing EA in the aerospace, financial, banking, pharmaceutical, entertainment and manufacturing sectors. He has published several books and numerous articles, and is a frequent presenter at national and international professional and academic conferences. He is also the co-author of the FEAC Guide to Enterprise Architecture Certification (McGraw Hill) with Prakash Rao and Ann Reedy in 2011 and the All-In-One Certified Enterprise Architect Exam Guide (McGraw Hill) in 2018. The accumulation and organization of scientific knowledge of laws and lawmaking and the subsequent application of that knowledge to the creation and evaluation of laws will allow law designers to craft more effective laws. Since the body of knowledge of laws and lawmaking is scant and a single scientific repository has yet to be discovered by the Science of Laws Institute, significant research, evaluation, collection and classification of any existing published information is required. Given that the universe of scientific articles is scattered across numerous public and private databases, the task of collection and classification is enormous. The Science of Laws Institute is attempting to automate the database canvassing, article validation of scientific relevancy and subject-matter classification using machine learning tools and techniques. Our challenge is to accumulate enough “good” examples to train the algorithm and, if successful, expand the model to evaluate broader repositories of data. This is a work-in-progress effort with the results of the machine-learning application to be determined. Gary founded Primero Systems in 1994 with the belief that software’s limitless capabilities can be used to help businesses realize their goals – and that every company’s potential can be improved through the power of software. Under his leadership, Primero has become a trusted software development company with a loyal and varied customer base – from national retail chains to Fortune 1000 companies. Gary has been managing and developing complex systems for more than 30 years; he regularly draws upon that experience to guide Primero forward and ensure the successful completion of mission-critical software projects. As CEO, Gary shapes Primero’s unique culture and drives home the customer-centric mantra of only when a client succeeds does Primero succeed. Integrity, relationships, competence, dedication and quality are all principles that drive Gary and influence Primero’s way of doing business. Prior to founding Primero, Gary spent 11 years with the U.S. Navy’s submarine force, which was instrumental in shaping his leadership vision. It was there that he saw first-hand the value of teamwork, camaraderie, mutual respect and accountability – attributes Gary carries with him to this day. After his service in the Navy, Gary further honed his craft at Litton Industries (now part of Northrop Grumman), where he successfully developed and implemented numerous complex software solutions for multi-billion dollar companies. Gary is a Certified Scrum Master and a strong advocate of Agile Software development methodologies. Laws of government (statutes, regulations, ordinances…) are the useful problem-solving means, or tools, by which the ends of government are attained. Since laws have a direct impact on human rights, living standards, and quality of life, it is critically important that they are competently designed and maintained to solve societal problems in a just and efficacious manner. However, there are currently no quality standards for the design and evaluation of laws, and the public is placed at risk from poorly designed laws. This paper discusses quality standards for laws. Quality standards, such as globally-recognized ISO 9000 standards, have proven to improve the effectiveness, cost-efficiency, and safety of useful products and procedures. The application of similar quality standards to laws holds the promise of improving the performance of laws (hence governments) for the benefit of the public, and will accelerate the development of the science and engineering disciplines of laws. David G. Schrunk, MD is an aerospace engineer and medical doctor. He is the founder and president of The Science of Laws Institute of Poway, California, and is the author of the book, THE END OF CHAOS: Quality Laws and the Ascendancy of Democracy. Humanity’s improvement and survival will require the involvement of global leadership and of all the hard and soft sciences, the arts, and the spiritual disciplines in new ways unprecedented for humanity’s history on Earth. Failure to do so will result in too high a risk for irreversible human tragedies. This paper and corresponding presentation will restrict the scope of this challenge to recommendations for ways that the Science of Laws Institute and the Kepler Space Institute can share research and projects focusing on the potentials for solutions to be triggered from Space developments. 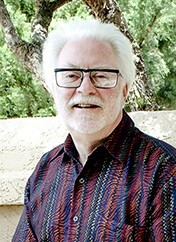 Dr. Bob Krone is a global educator, author, and consultant in Advanced Management theory and practice. He is President of the Kepler Space Institute (www.keplerspaceinstitute.com); An Emeritus Professor of the University of Southern California (USC) in Los Angeles, U.S.A. (1975-1993);was a Distinguished Visiting Professor in the School of Business at La Sierra University in Riverside, California, U.S.A.(1992-2007); and an Adjunct Professor for Doctoral Programs in the International Graduate School of Business at the University of South Australia (1995-present). He authored or co-authored twelve books and 90 professional journal articles. He was the Founder and been the Editor-in-Chief of the Journal of Space Philosophy since 2012. Bob graduated from the Naval War College Command and Staff College in 1962. He is a Fellow Member of the American Society for Quality(www.ASQ711.org) with an academic specialty in the Quality Sciences; Board Member of the National Board of the Distinguished Flying Cross Society (www.dfcsociety.org); Past Member Board of Directors of the Veterans Museum and Memorial Center, San Diego, California (www.veteranmuseum.org) and Emeritus Member Board of Directors of Idyllwild Arts (www.idyllwildarts.org). Bob stayed in touch with Aerospace after his 1952-1975 career retirement from the United States Air Force, where he flew fighter jets and was decorated with the Silver Star, four Distinguished Flying Crosses, Bronze Star and eleven Air Medals for combat flying in Vietnam, by being a member of the NASA sponsored Aerospace Technology Working Group (ATWG), the Space Development Committee and Kepler Space University. His important space publication was editing BEYOND EARTH: THE FUTURE OF HUMANS IN SPACE (Apogee Space Press, 2006), Amazon.com). That book was on the Universe Today list of “Best Space Books in 2006” and was influential as a foundation document for the founding of the Kepler Space University. Can We Create a Sustainable Government Using the INCOSE SE Measurement Primer? A recent news article by Business Insider shares some troubling facts: The US national debt is rising 36% faster than the economy and the current amount of that debt exceeds $21 trillion. How might the government reconcile such differences in societal needs and available budget? The authors posit that they can be reconciled through the tailoring and adoption of the concepts detailed in the INCOSE Systems Engineering Measurement Primer. Inspired by the work presented during the previous 4 years at the annual Science of Laws conference held in conjunction with the San Diego Chapter of INCOSE’s annual mini-conference, the authors searched for existing systems engineering tools and techniques that could be applied to create sustainable framework for the laws of government. The INCOSE Systems Engineering Measurement Primer appeared to be a promising asset. As described within that document, measures offer the insight needed for planning, controlling, managing, and improving many aspects of projects and products including: adequacy of performance, resources and cost, growth and stability, effectiveness, and customer satisfaction. During this presentation, the author will begin by identifying and characterizing the problem space. Next, he will compare the purpose of systems engineering measurement (as defined in the INCOSE primer) to the challenges identified within the problem space. Then, the author will walk through the concepts of the INCOSE primer and provide feedback on how those concepts might be applied to the creation and management of governmental laws. The author will conclude with his recommendations for future research and actions. This working session will be focused on creating a charter for the proposed INCOSE Working Group dedicated to the Science and Engineering of Governmental Laws. Key topics include, Working Group purpose, goals, scope, outcomes, approach, and measures of success. Please contact us with any questions at info@sdincose.org.